In a revamped design, the Y2 features a 5.99inch HD+ display with 18:9 aspect ratio. The device has a brushed metallic finish and discreet separation lines on the rounded rear and will be available in gold, rose gold and dark grey. Last year, Xiaomi introduced a new category in its Redmi series, aimed at selfie fans. Building on the success of the Redmi Y1 launched in the Q4, last year, Xiaomi has now launched the Redmi Y2 in the Indian market. The highlight of this Y2 is the selfie camera, and the company is promoting it as AI Selfie phone. The Redmi Y2 boasts a 16-megapixel front camera with 68.7 angle wide lens. This is an AI camera and comes with Super Pixel technology, where four different pixels combines together to form a super pixel of 2-micron size. For selfie light, the device comes with 4500k colour temperature that can also be used to take selfie photos and selfie videos. It also features auto HDR and Beautify 4.0. The latter works on ten different facial features and beautifies each one of them. It has India specific features, too, which intelligently preserves bindi, nose pin, and facial hair. The highlight of the selfie camera is portrait selfie, which was earlier added to the Redmi Note 5 Pro. Using semantic segmentation, the camera detects edges and helps in capturing portrait selfies from the single camera. The Y2 also features a vertical camera setup with a 5-megapixel secondary camera and 12-megapixel primary sensor at the rear. The 12-megapixel primary sensor is capable of capturing 1.25-micron pixel, which also helps in low-light photography. The phone runs MIUI 9.5 based on Android O and features AI-based facial unlock. There is a fingerprint scanner at the rear, which can also be used for capturing images. The device is powered by Qualcomm Snapdragon 625 processor with an all-day battery life of the 3080 mAh battery. This is a dual SIM phone with two nano SIM slots and a dedicated memory card slot as well. Other features include IR blaster, Mi Remote app and gestures navigation that can replace navigation buttons. The Redmi Y2 will be available in two variants, 3GB RAM and 32GB internal storage for Rs 9,999 and 4GB RAM and 64GB internal storage for Rs 12,999. The Redmi Y2 will go on sale starting June 12 and will be available for purchase on Amazon India, mi.com, Mi Home stores and Mi Preferred partners. 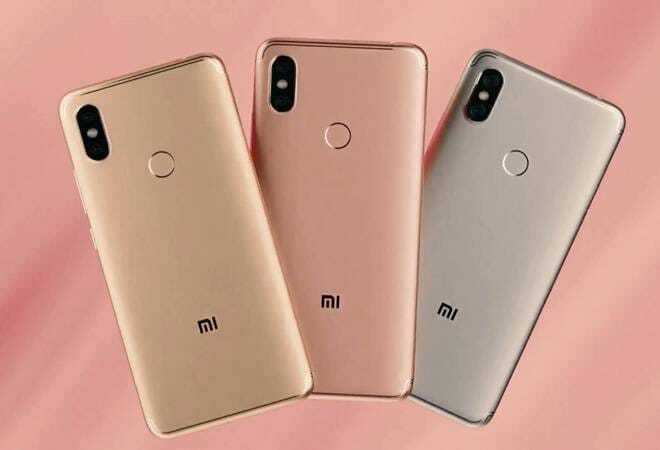 Xiaomi claims that last year's Redmi Y1 was popular amongst the younger generation, under 24 years of age, and is the number one selling selfie phone (8-megapixe front camera and upwards) in Q4 last year and Q1 this year. Since the beginning of this year, Xiaomi has been really aggressive in the Indian market. Other than introducing new smartphones, the technology giant has launched Mi TVs, crowd-funding platform and is expanding its offline presence. Xiaomi aims to expand to 100 cities in the next few months.